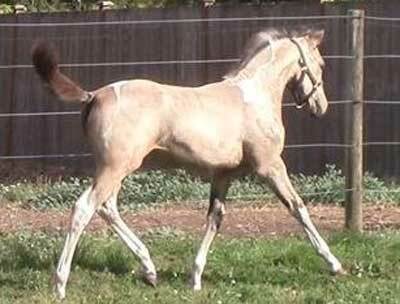 Stunning young prospect bred for dressage and jumping. 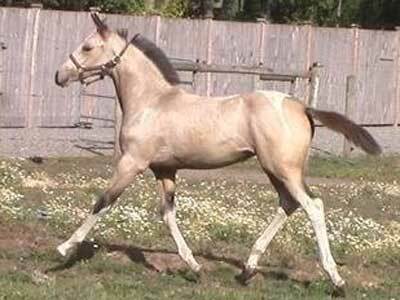 Gorgeous Metalic Buckskin with 4 high whites 1/2 Akhal Teke 1/2 Pinto Selle Francais filly. 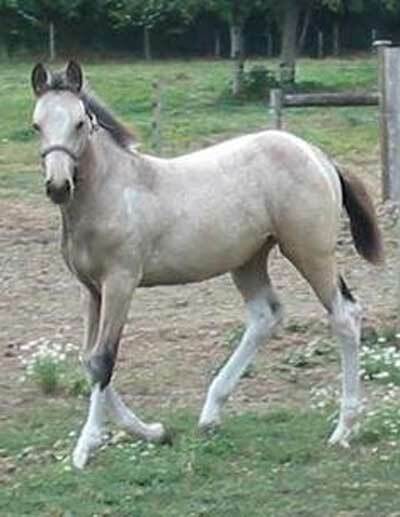 This filly is from one of our nicest, most talented stallions (Metallic buckskin Purebred Akhal Teke) and one of our loveliest mares (Black Pinto Selle Francais). This is the rarest of the rare with stunning color as a perk. 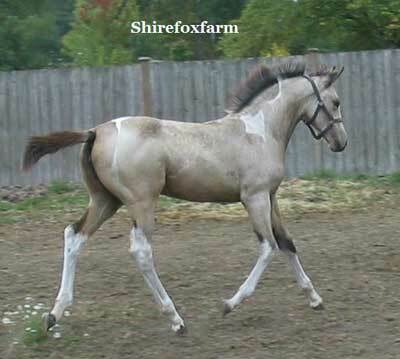 Sire and dam are excellent movers and jumpers with stunning looks and both sire and dam are 16.1h plus...this filly is huge. She already ties clips, bathes and blankets, gets in the trailer and is good for farrier work. Super smart and loveable...super sensational mover.